OTTAWA -- Federal NDP Leader Jagmeet Singh will announce Wednesday he's running for the Burnaby South seat in the House of Commons, CTV News has confirmed. 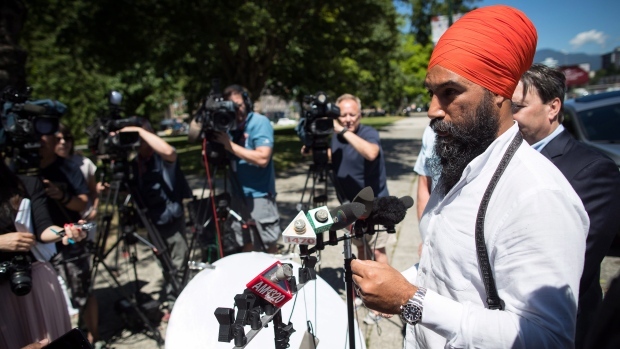 Singh won the federal NDP leadership last fall but isn't a member of Parliament. Reports indicated he would run to replace New Democrat MP Kennedy Stewart, who has resigned his seat to run in Vancouver's mayoral race. "I know he's looking at it very closely," Stewart said in an interview with CTVNews.ca. "I did approach Jagmeet suggesting that it might be good for him to run in Burnaby South. What's been very positive is when I mention it to people in Burnaby, is how excited they got," he said. Stewart said he's not concerned that Singh isn't from the riding and noted former NDP leader Tommy Douglas, who had been premier of Saskatchewan, served in the riding after leaving Saskatchewan politics. A Liberal Party spokesman suggested the Liberals won’t hold off on running a candidate in the riding to allow Singh to take the seat and join the House of Commons. 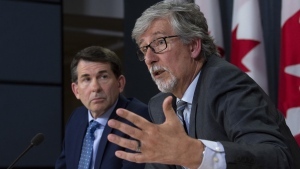 "The Liberal Party of Canada has always worked hard to represent Canadians from coast to coast to coast, and as such we welcome the opportunity to present a candidate in any riding which becomes vacant," Braeden Caley wrote in an email. "Since Kennedy Stewart has announced that he will be resigning as MP, the Liberal Party of Canada has been approached by a variety of talented community leaders interested in becoming the Team Trudeau candidate for Burnaby South." Stewart won the riding in 2015 by about 550 votes. Liberal candidate Adam Pankratz came second.